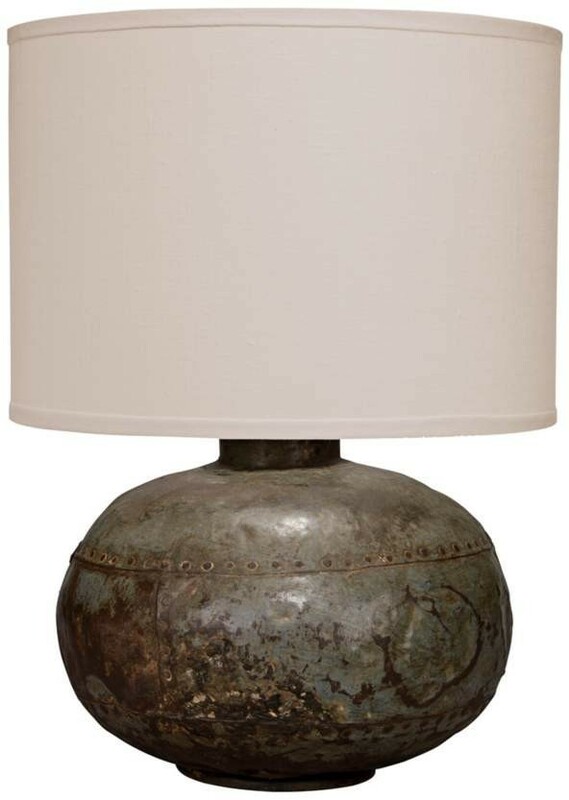 Add a natural and worn look to your home with this vintage table lamp. 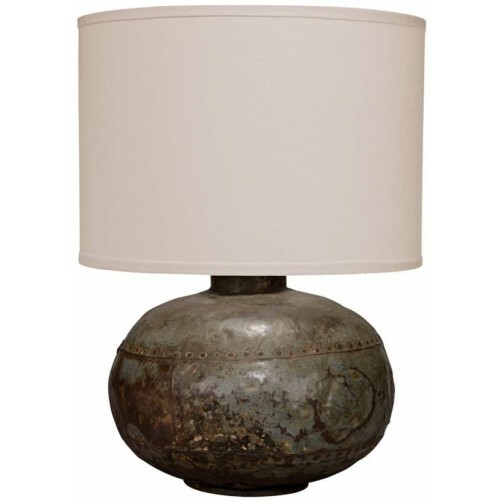 A round metal base finished in gun metal is topped with a stone linen that offers ambient illumination. One-of-a-kind base, no two are alike. Total: 16.5" Diameter x 23"H.
Base: 6" Diameter x 11.5"H.
Shade: 16.5" top Diameter/16.5" bottom Diameter x 11.5"H.